....this is the worst video I've seen yet to try and illustrate saber tracking lmao. wtf. No idea what this is supposed to show beyond extremely bad comps. That split second where Yoda leaps forward 5 meters in a closing strike? Bad saber tracking, what? 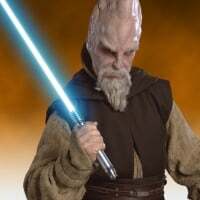 Yoda evades you while he is aiming for target and you call that bad saber tracking? While I agree that saber tracking is broken and needs to be either fixed or removed entirely, that was not a case of bad saber tracking. 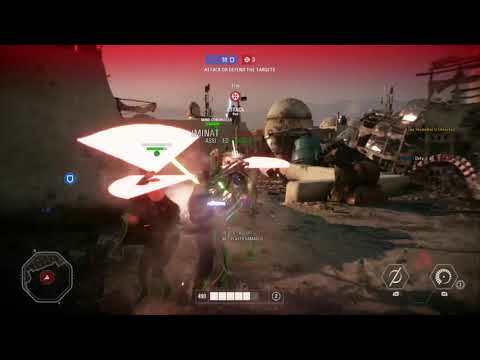 Go back and watch the video at 0.25x speed if you don't believe me, Yoda dodges your rush attack with his own rush attack a split second before your rush attack would have connected with him. Dude, it's YODA that saber tracks GRIEVOUS, look at the distance he reaches Grievous after he dodges me. Pay close attention at 0:13 in the video, I try to reach Yoda but he then flies like a homing missile after Grievous. Yoda didn't track to Grievous as far as I can tell, Grievous ran to the left, is more likely that Yoda tracked to Kylo who was much closer, if he tracked at all, that might have been a Yoda dash attack coupled with lag. I have definitely seen better video evidence of tracking fails. 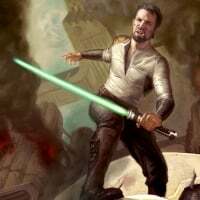 Tracking should be dropped entirely imo, Battlefront 2 (2005) didn't have saber tracking and it worked just fine. The tracking in Battlefront 2 is unnecessary and comical. 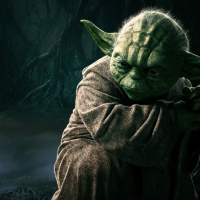 Cannot even be taken seriously because it's a complaint about Yoda in HvV.